Building a smart city requires the integration energy, transportation and community services for the residents of Smart Cities. Large quantities of data from new sensors monitoring energy, traffic and people can provide real time situational awareness and actionable information, to provide for a more resilient and reliable energy system, a safer, higher capacity transportation infrastructure and citizen services to enhance public services and safety. 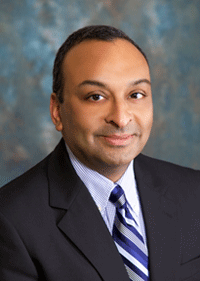 Ram Sastry joined American Electric Power as the Director of Information Technology Audits in 2002. His previous roles included Distribution Research and Technology, Utility Research, Processes and Systems and Distribution Services. Currently he is the Vice President of Infrastructure and Business Continuity, where he is responsible for operational risk and asset management, advanced energy technologies, business continuity and resiliency. Ram is responsible for directing the activities of AEP’s Smart City Program. Ram has a bachelor’s degree in Computer Engineering from the University of Bombay. He is a Project Management Professional, Certified Internal Auditor, Certified Information Systems Security Professional, Certified Information Security Auditor and Certified Fraud Examiner. Brian Harrell, Vice President, AlertEnterprise, Inc. Corporations are dealing with the traditions of managing security in silos, leading to an increased number of attacks on things like critical infrastructure. Corporate (Physical) Security deals with facilities and building access, whereas IT Security is dealing with cybersecurity as well as system and network access. It’s as if they are living on different planets! Learn about new techniques to integrate and then correlate events, alerts, alarms and notifications across the domains and how leading organizations are using these to uncover and identify blended threats that are otherwise impossible to detect. Finally, as security has become a key discussion item in corporate boardrooms, learn how security can be leveraged and viewed as a business enabler rather than a cost and resource drain for the organization. 3. Discover new techniques and emerging technologies that will enable this shift in thinking and actually deliver results. Brian Harrell is a nationally recognized expert on critical infrastructure protection, continuity of operations, and cybersecurity risk management. Harrell is the Vice President of Security at AlertEnterprise, a Silicon Valley based technology and advisory firm, where he provides critical infrastructure companies with consultation on risk mitigation, protective measures, and compliance guidance. In his current role, he has been instrumental in providing strategic counsel and thought leadership for the security and resiliency of the power grid and has helped entities identify and understand emerging threats. Advising utilities throughout North America, Harrell has worked to increase physical and cybersecurity mitigation measures designed to deter, detect, and defend critical systems. Prior to AlertEnterprise, Harrell was the Director of the North American Electric Reliability Corporation’s (NERC) Electricity Information Sharing and Analysis Center (E-ISAC) and was charged with leading NERC’s efforts to provide timely threat information to over 1900 bulk power system owners, operators, and government stakeholders. During his time at NERC, Harrell was also the Director of Critical Infrastructure Protection Programs, where he led the creation of the Grid Security Exercise, provided leadership to Critical Infrastructure Protection (CIP) staff, and initiated security training and outreach designed to help utilities “harden” their infrastructure from attack. Prior to coming to the electricity sector, Harrell was a program manager with the Infrastructure Security Compliance Division at the U.S. Department of Homeland Security (DHS) where he specialized in securing high risk chemical facilities and providing compliance guidance for the Chemical Facility Anti-Terrorism Standards (CFATS). 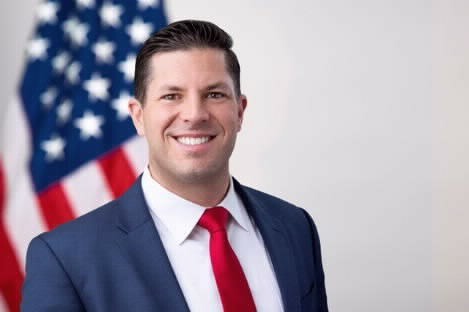 For nearly a decade of world-wide service, Harrell served in the US Marine Corps as an Infantryman and Anti-Terrorism and Force Protection Instructor, where he conducted threat and vulnerability assessments for Department of Defense installations. Nov 16: ZHU on "Polar Code Design and Its Standardization for 5G"
The design criteria and performance requirements for the code selection are discussed. For 5G wireless, In this talk, we present the key challenges for the error correcting codes for 3G, 4G and 5G wireless standards. The new error correction codes are required to meet very challenging application requirements for 5G. Polar code is adopted to meet such a challenge, we present the novel designs for (1) Polar Code with universal rate matching schemes, (2) Polar Code optimization for very short code block sizes, (3) Polar code with extreme high speed decoder (4) Polar Code for blind rate detection (5) Polar Code for Hybrid ARQ, In addition, we also present the state-of-art silicon implementation for polar decoder and field trial results for the superior performance for Polar Code in the real world applications. Dr. Peiying Zhu is a Huawei Fellow. She is currently leading 5G wireless system research in Huawei. The focus of her research is advanced wireless access technologies with more than 200 granted patents. She has been regularly giving talks and panel discussions on 5G vision and enabling technologies. She served as the guest editor for IEEE Signal processing magazine special issue on the 5G revolution and co-chaired for various 5G workshops. She is actively involved in 3GPP and IEEE 802 standards development. She is currently a WiFi Alliance Board member. 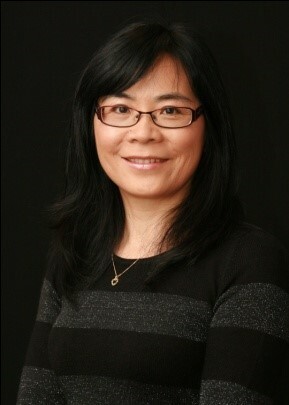 Peiying Zhu received the Master of Science degree and Doctor Degree from Southeast University and Concordia University in 1985 and 1993 respectively.